An informal round-table discussion was chaired by Robin Palmer on 19 April 2018, with invited speakers Odenda Lumumba, Martin Adams and Francesca Di Matteo. Discussions took place under Chatham House rules to enable the speakers to be frank about their engagements in land reform in Kenya. The discussion considered the recent history of land reform in Kenya, and explored the challenges, success factors and debates around land reform. Robin Palmer has worked on land rights for many years, first as an academic in Southern Africa, then with Oxfam, and more recently with Mokoro. He has written some brief reflections on 40 Years of Land, Roots and Myths and on Supporting the Establishment of Land Alliances in East Africa. He runs the Land Rights in Africa website, established in 2000, which in 2017 posted its 1,000th item. Odenda Lumumba is CEO of the Kenya Land Alliance (KLA). He is a human rights advocate and land rights activist, having worked on land and natural resource rights for over 25 years. 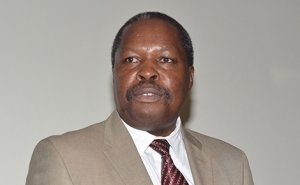 He has sat on a number of commissions and task forces on land in Kenya. He was in England in April 2018 as an invited guest to the Commonwealth Women’s Forum, part of the Commonwealth Heads of Government Meeting, where he presented his findings on women’s access to land and financial assets. Following the publication of a KLA review of the issuance of 3.2 million title deeds in Kenya between 2013 and 2017, he spoke recently about the glaring disparities and inequalities revealed. He was involved in the National Constitutional Conference as a land expert and was influential in ensuring that that land-related provisions were included. He has continually engaged in community mobilisation around human rights and land issues. Recently, he co-authored an article in the Review of African Political Economy Journal, 2017, on “Reform and Counter-Reform in Kenya’s Land Governance”. Martin Adams is an experienced researcher, consultant and advocate who has worked on land issues in many countries in Africa and elsewhere. In the 1980s he worked on rural development planning in Kenya’s Arid and Semi-Arid Lands. He wrote about land reform in Kenya and other countries in his 1995 ODI Natural Resources Perspective Land Reform: New Seeds on Old Ground? From 2001-05 his engagements in Kenya included a review of DFID’s support to KLA, and team leadership of the national land policy reform process, during which he spent much of 2004 working within Kenya’s Ministry of Lands. Francesca Di Matteo is a PhD student at the University of Marseille studying the land reform process in Kenya. In 2015-16 she was based at IFRA (Institut Français de Recherche en Afrique) in Nairobi, where she organised a conference on the Politics of State Interventions on Land Rights in East Africa. She also spent five months affiliated to the KLA. Last August she wrote an LSE International Development Working Paper, “Community Land” in Kenya: Policy Making, Social Mobilization, and Struggle over Legal Entitlement, which studied decision-making processes and the politics surrounding the design of new legislation around “community land”. She is currently based at LSE and is writing up her study. The notes that follow are a summary of the discussion, grouped under a number of headings. They cannot be attributed to any particular individuals, and do not necessarily represent the views of Mokoro Limited, the speakers or any other attendees. The title of the discussion reflected the protracted struggle for land reform in Kenya. Following Independence in 1963, the government took some 36 years to consider addressing the inequitable legal and administrative system, involving land rights allocation and revocation by the State, inherited from the colonial era. Yet, when presented with the findings of a series of commissions of enquiry and the recommendations of a consultative land policy process, government has failed to enact the required redistributive laws and put in place the necessary administrative reforms, principally because land grabbing by the governing elite at the national and provincial/county level would be threatened by the proposed reforms. This is despite the continuing efforts of the KLA to press for land reform since its formation in 1999. 1999 was the year that two national commissions of enquiry, appointed by President Arap Moi, commenced their work: namely the Commission of Enquiry into the Land Law System of Kenya (aka ‘the Njonjo Commission’, after the Chairperson), which reported in 2002; and the Constitution of Kenya Review Commission (CKRC), the draft findings of which were released in March 2004, following the collection and collation of the views of the people of Kenya, and which contained a fundamentally revised land chapter of the constitution. Further, the Co-ordinator of KLA participated in the Commission of Inquiry into the Illegal/Irregular Allocation of Public Land (the Ndung’u Commission), the report of which was published in December 2004. However, its recommendations remain largely unimplemented and corrupt dealings in public land continue. As a ‘membership organisation’, the KLA vigorously engaged with these commissions, preparing submissions and representing the views of member civil society organisations (CSOs) on the reform of land laws and land administration. The KLA worked diligently on reports and chapters on land reform. The year 2002 saw the Kenya Africa National Union (KANU), the ruling party since independence, defeated; its land policies had been unable to transform the country’s land administration and management system. The National Land Policy was launched in 2004, but the draft constitution that could have brought it into force was rejected by referendum in 2005. Post-election violence occurred in 2007. The National Land Policy was promulgated in 2009, with the revised constitution being adopted following a national referendum in 2010. Sadly, since then most of the land reforms remain unimplemented. The drafting of the laws that were expected to govern the proposed reforms has proved to be contentious. The record in the parliamentary Hansards shows that the laws were discussed and an extension of the constitutional schedule was sought and granted to allow for further consultations. However, the civil society view could be that civil society has failed to wrest control of the process from government bureaucrats, who appear to have worked out of public view, with minimum participation from the general public and the relevant Parliamentary Committees. Significant parts of the drafts, which proved to have been copied from the laws of other countries, remain poorly domesticated due to the drafting style, which is complex and unintelligible. They are also not compatible with the land chapter of the 2010 Constitution. Meanwhile major infrastructure projects have involved widespread compulsory acquisition of customary land rights. After the elections of 2013, a National Land Commission commenced its operation. It eventually won its independence from the controlling role of the Ministry of Lands and its budget in 2015-2016. Various technical fixes in policy and law were adopted, but the wheels of reform have yet to move in practice because entrenched elites are blocking progress, facilitated by unreformed institutions. The KLA can be seen as an otherwise ‘missing link’ between the State and communities, acting as a representative or intermediary, and providing civic education training. It has acquired significant resilience to keep this work moving: for example, it took 14 years of attempts to find an appropriate legal structure for the KLA (the Public Benefit Organizations Act 2013) before it could finally be registered, during which period various work-arounds had to be employed. The KLA has survived by combining its in-house skills in activism with the ideas and publications of people with credibility in the area of research. It has kept making relevant noises, and has learned various tricks to prevent the land rights work from being derailed. It has been very difficult to get the wheels of land reform turning – the real change is yet to begin, just as some who have been active for years are retiring. For a time the World Bank saw land titling as the answer and this approach is still seen in Kenya today. However, land is not being redistributed to any large extent, and women are particularly affected as the on-going regularisation and legalising of existing rights leaves them out. Individual private titling does not address the need for group rights for communal use of land, e.g. in pastoral areas. Unforeseen oil, gas and mineral discoveries have led to poorly planned infrastructure developments that cross unenclosed grazing lands. It can be difficult for local people to benefit from the discoveries when they lack the resources and technical knowledge to extract minerals themselves. Titling has its place. In the late 1980s and early 1990s some smallholder out-growers contracted by companies had no land titles, but used supplier contracts as a substitute. This was inadequate. Sometimes contractors would not collect the produce grown by out-growers, but would bypass them and collect crops only from powerful landowners’ farms. Titling is a highly political issue, and statistics on the number of titles being issued can be misleading – it is beneficial for governments if they are seen to be broadening land ownership. At times, what government claimed to be new titles were actually titles from the 1960s that were sitting in registries waiting to be collected; when these were collected they appeared in the statistics, but also caused ownership disputes in cases where people had traded in land in the meantime without using titles, or where titles were in the names of deceased people. Images of older women holding title deeds have been used to create political capital, but the significant change in women’s land access that the photographs imply is not a reality. There has recently been a paradigm shift within international agencies, who are now promoting a less individualistic discourse on land reform. The approach taken by international agencies is important to the situation in Kenya, as the progress made on land reform could not have been achieved without the funding and related influence of foreign donors. Current scholarship is exploring how the decision-making process behind these new international norms has unfolded, and how these changes could lead to radical provisions being adopted. Some parties are sceptical, however, seeing this shift as a means for powerful players to transfer the remaining traditional landowners into the global circuit of capital, rather than representing a fundamental ideological change. Women’s lack of land rights negatively affects staple food production and poverty reduction: it therefore has implications for many people of all genders. Recent KLA research has shown that even though more women are obtaining land titles, they still own just 1.62% of the area of titled land. This proportion is small, but it represents a significant area of land. This very small success needs to be built on rapidly, and the position of the KLA is to set challenging targets for government to encourage people to demand results. The role of patriarchal society and the influence of elders over land allocations was discussed and potential routes towards change were considered. Women’s land rights might be helped if women had co-tenancy of matrimonial property, and religious leaders can have a part to play in teaching new couples to share property. Spouse details could be included on land registration forms to ensure that wives are not disadvantaged if their husbands die; however, some women landowners do not want to add their husbands to the titles of their independently owned lands. Marriage law and inheritance law need to be reformed alongside land-related laws if improvements to women’s access to land are to be achieved in practice. Broader structural changes can also act as drivers: in Rwanda, 64% of Members of Parliament, including the Minister of Lands and Forestry, are women – perhaps it is no coincidence that women’s land rights there are improving. Reliance on the courts is not necessarily easy: one participant noted the popular slogan, “Why hire a lawyer when you can buy a judge?” The law can be useful, however. Where politicians are not acting in accordance with Kenya’s strong laws on land, if advised by well-trained paralegals the politicians will reconsider, and for this reason it is important to build capacity in the legal profession around land laws. The capacity of the courts can also be an issue: sometimes the results from important cases at the land courts are weak and do not set strong legal precedents. Courts can be silent on key issues, and there needs to be better quality argument behind the courts’ findings. Courts should not defer jurisprudence. Relatedly, journalists also need training and protection to improve their capacity for investigative work on land issues. Law is not a purely positive tool, as it can also be used to deflect political debate if discussions focus on the letter of the law and avoid more difficult issues such as redistribution. The law is also not enough on its own: to create change you need the law on your side, but you also need to have the government on your side to implement the law. Broader, more democratic and less chieftainship-oriented routes are needed to implement land reform. A number of students and academics were present at the discussion, and some spoke of the inductive approach needed when studying in a rapidly changing environment – this certainly applies in the case of Kenyan land reform, and researchers need to be willing to make radical changes to their original plans. Scholarship has been important to activist groups such as the KLA, who have been able to draw on the ideas and publications of allies with academic credibility and thus strengthen their message.